He Lives In A Small, Cramped Bedroom, But When He Does THIS – I’m So Jealous! Home » ENTERTAINMENT » He Lives In A Small, Cramped Bedroom, But When He Does THIS – I’m So Jealous! Small rooms can be tricky when it comes to optimizing the amount of space available. In some cases, even if you cannot capitalize on the surface area available, you can strategically pick furniture that would appeal to a small amount of space. By using built in storage and lofted beds, you can really open up a small room. 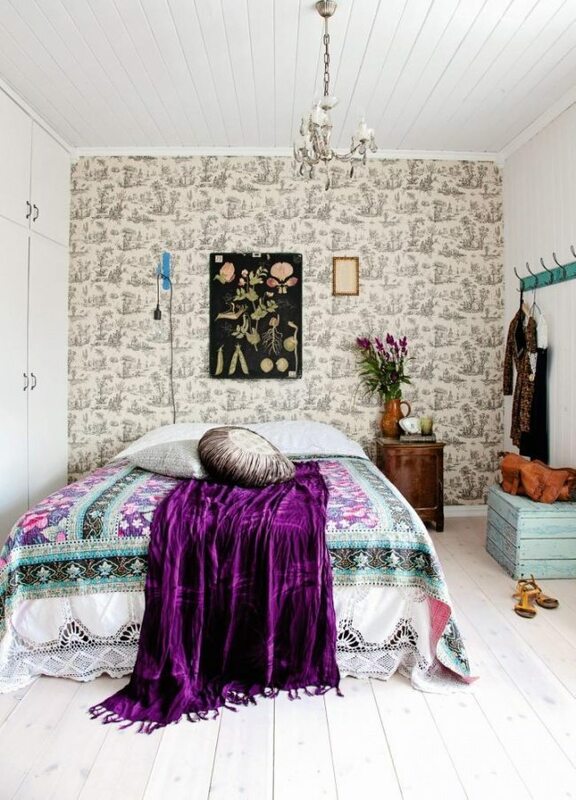 The following article takes a look at 9 incredible inspirations for small rooms. Beautiful complementary colors can be paired in a small space to create a very unique ambiance. 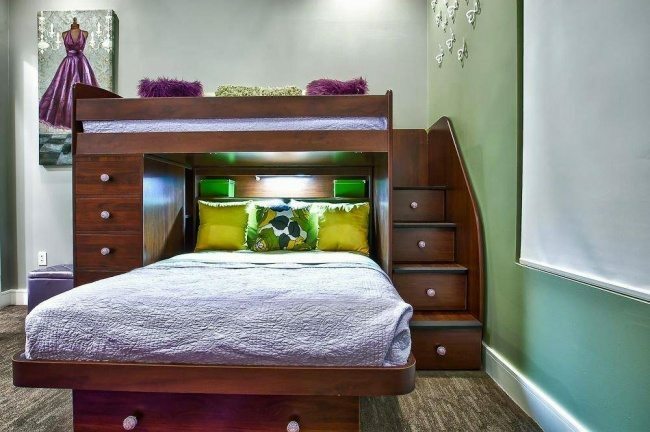 A slightly lofted bed with a special frame can allow for a small room to provide extra seating and sleeping arrangements from a pull-out compartment at the base. 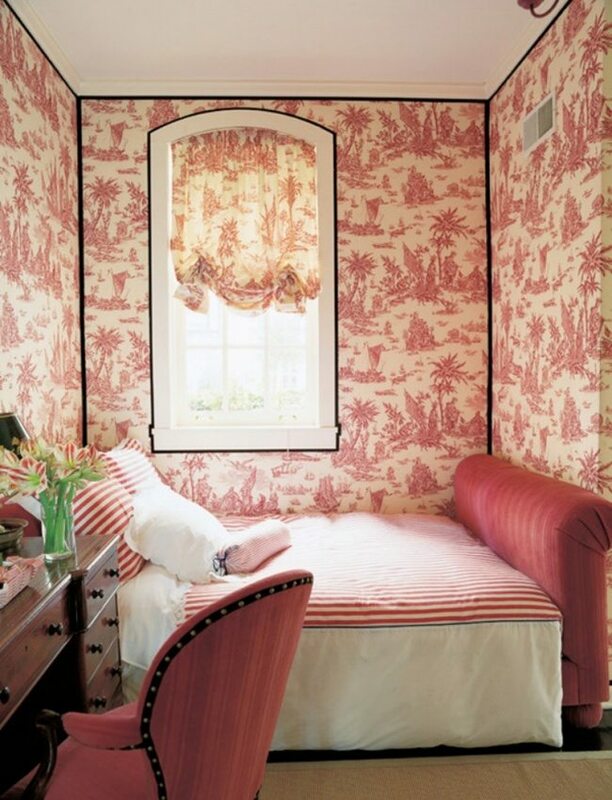 Using a patterned wall paper on one side of a room can create a unique style that can be easily complimented by fancy bedding, as seen in the picture above. A lofted lounge area can be used to create extra sitting space high above, while leaving room to store things like clothes and bed sheets right underneath. 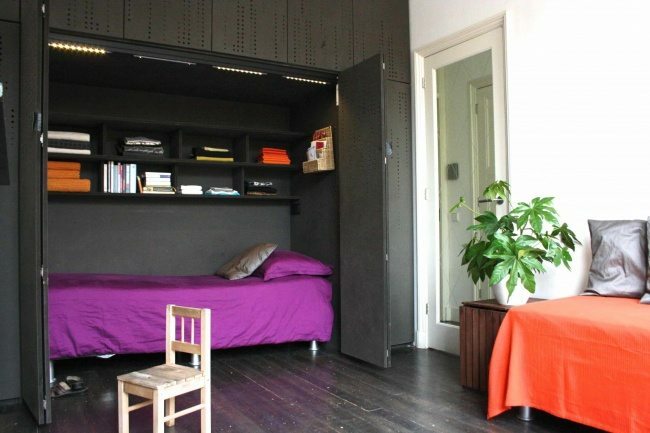 If done correctly, even a pull out bed can look fancy. Using clean designs and furniture, the above room shows how to perfectly execute the pull-out bed without it looking cheap. Using a large shelving unit directly above your bed can open up space on top for extra storage while still providing enough space to comfortably sleep down below. For a person that spends a lot of time at their desk, using a square shaped organizer can provide storage and table access on all sides while providing sleeping space right above. Special bed frames can be used to add storage and dimension to a room. The above unit has over 10 drawers as well as a mini set of stairs for access to a lofted sitting area. 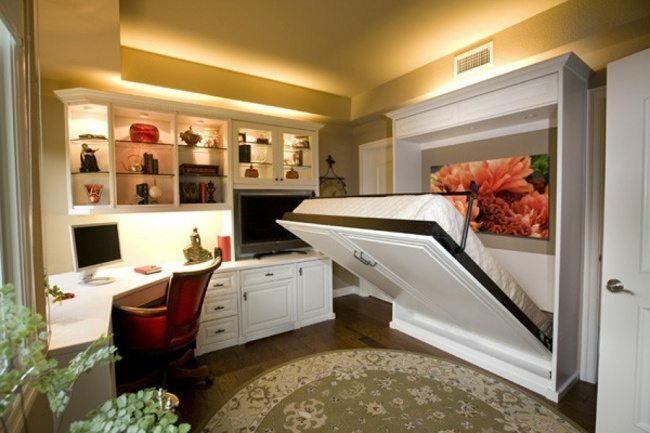 Having a set up like the one above would be perfect for smaller rooms that have lofted ceilings.